HomeBritish Television StreamingBritBox vs. Acorn TV – Which British TV Service’s Content is Best for You? BritBox vs. Acorn TV – Which is Better? For several years, Acorn TV was the only major player in the British TV game. Sure, Netflix and Amazon Prime Video had some options, but nothing like Acorn's 200+ titles at any given time. In early 2017, everything changed. 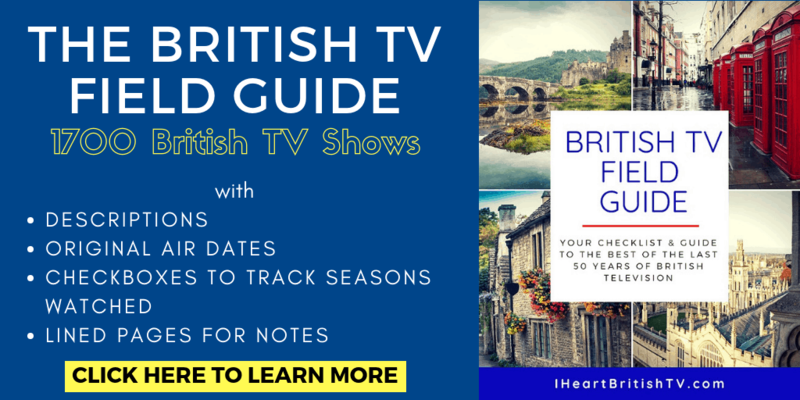 BritBox came on the US streaming scene in March of 2017, then expanded to Canada in early 2018 (though both BritBox and Acorn TV have a slightly restricted offering for Canadians). 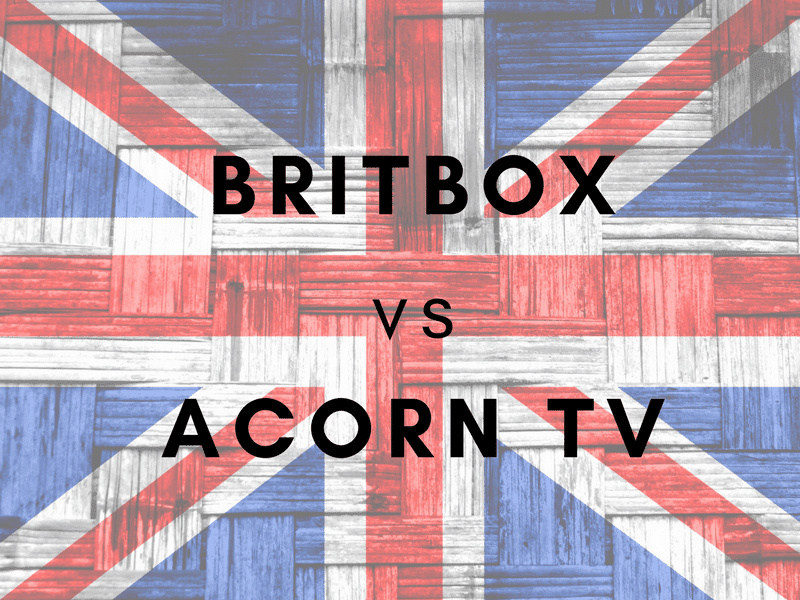 That leaves a lot of people wondering: who wins the BritBox vs. Acorn TV battle? In this post, we'll focus strictly on content (since the interface and user experience can vary by device and platform). BritBox vs. Acorn TV – Who Has More British TV Shows? When it comes to number of titles, BritBox is the clear winner of the two. That wasn't the case until recently, but as of late April 2018, BritBox has 301 titles to Acorn TV's 258 titles. Of course, that doesn't matter much if you subscribe to BritBox and find most of the shows you wanted to watch were actually on Acorn TV. It's also worth noting that Acorn has a significant number of non-English language and non-British programs, while BritBox's content is purely British. Our best recommendation would be to take advantage of the 7-day free trial for each so you can get a better feel for which fits you best. Please note, each person can only get the free trial once, and they could discontinue that promotion at any time. BritBox vs. Acorn TV – What Type of Programs Do They Offer? If you don't have time to give each service a try and you just want a general idea of what they're like, this next section is for you. Although both services are great, and both have programs in every category, each one does seem to have its specialties. Keep in mind – while we attempt to update these types of posts every couple months, there's always a chance something could change and a show might not be available when you read this post. Most shows stick around for months or longer, though, so it's likely whatever you read here will be mostly accurate (and you can click on the show names to verify if they're still with the service). BritBox was created as a partnership between British TV giants ITV and the BBC. When BritBox first came out, it seemed to be weighted a lot more heavily towards classic content and British soaps. That's changed a bit, though, and they've added quite a few newer programs. They also have quite a bit of lifestyle and documentary content, which gives you a more realistic sampling of the overall British TV landscape. In general, BritBox excels at classic British television, soaps, and lifestyle programming. They're still a bit weak in terms of more modern programming, but the fact that they've premiered the most recent seasons of Vera and Shetland is a really promising sign. The lists below are just a small sample of the 300 or so programs currently on BritBox, but we feel it represents the best of what they have on offer. New Blood – This new crime drama features two young detectives working together to fight powerful corporate and wealthy individual criminals. Cold Feet – While this popular dramedy originally premiered in the late 90s, they recently returned for a reboot (with a much older cast and completely different set of issues). Keeping Up Appearances – Patricia Routledge stars as the snooty but lovable Hyacinth Bucket (that's BOUQUET). Are You Being Served? – We're still not sure how Grace Brothers department store manages to stay open, but we certainly enjoy watching them do it. 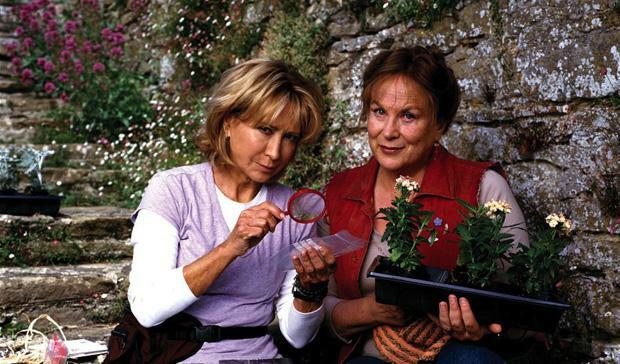 Rosemary & Thyme – Two women partner as gardeners but wind up solving murders. Prime Suspect – Helen Mirren stars as DCI Jane Tennison, a determined female cop in an overwhelming male world. Only Fools & Horses – Two rough brothers from London wheel and deal, always looking for that big score. Agatha Christie's Poirot – BritBox carries the first 6 seasons of the classic David Suchet Poirot. Last of the Summer Wine – While BritBox only has a small handful of episodes out of the 37 or so series they produced, it's still worth mentioning because those old Yorkshiremen are just so funny. Fawlty Towers – John Cleese and Prunella Scales star in this wonderful but way too short-lived comedy about a husband and wife who run a small hotel. Dalziel & Pascoe – Two cops – one old school, one new – don't always get along, but they work well together. Cracker – Cracker is a rough but intelligent criminal psychologist who uses his insights to help solve difficult crimes. Boon – Ex-firemen Ken Boon is rendered unfit for duty after injuries sustained while saving a child's life. Forced into early retirement and much in need of an income, he advertises his availability for “anything legal” and winds up working as a private investigator. Ballykissangel – An urban priest is transferred to a rural Irish village and must learn to integrate with the community. As Time Goes By – Two lovers are reunited in their senior years after a misunderstanding drove them apart decades earlier. Brideshead Revisited – Two young men meet at Oxford and remain in one another's lives for years afterwards. Coronation Street – This long-running British soap is set in the fictional area of Wetherfield, where residents walk cobbled streets among terrace houses and the local watering hole, the Rovers Return pub. Emmerdale – Emmerdale has been around a little longer than Corrie, but it's often regarded as the younger, sexier cousin of the other two big soaps. Casualty – This is the world's longest-running medical drama, and it centers around the lives of the emergency room staff and patients at Holby City Hospital. Holby City – Holby City is a spin-off of Casualty, and it occurs in the same hospital with some cross-over between the two. Antiques Roadshow – Members of the general public bring in items to have their values estimated by experts. Escape to the Country – This rural British house-hunting show can be a bit jarring for Americans familiar with HGTV's House Hunters, as the shoppers don't always end up choosing any of the houses (House Hunters is staged, and the people have generally chosen a home well before filming). Home Away From Home – Brits swap houses to see how others live. Tales from the Coast with Robson Green – Grantchester star Robson Green travels around the UK's coastline (including a great Scottish islands episode). Flog It – People attempt to sell their antiques to get a bit of cash. Coast – This long-running program features various parts of the coast in and around the British Isles. Acorn TV is owned by RLJ Entertainment, and reports from February 2018 indicate that AMC Networks may be in the process of acquiring the company. Either way, RLJ has been on the British TV scene for many years – first as a catalog retailer and then as a streaming TV provider. RLJ was founded by Robert L. Johnson, founder of BET. In general, Acorn TV excels at modern mysteries and dramas – though like BritBox, they have a little bit of everything. Acorn also has quite a bit of Canadian and Australian content, along with the occasional show from Scandinavia or mainland Europe. At the time of writing, Acorn had 258 titles. The list below is just a small sample to give you an idea of what Acorn TV offers. Vera – Acorn has series 1, 2, 5, 6, and 7 of this popular Northumberland mystery. 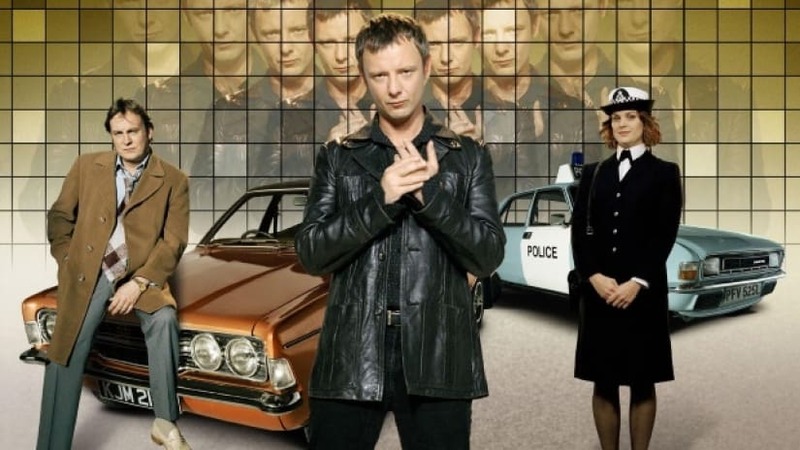 BritBox took the rights to premiere Series 8 in the US. Midsomer Murders – Acorn TV also continues to carry all 19 seasons of this popular British mystery series. Loch Ness – Along the banks of Loch Ness, murder shakes a small community. 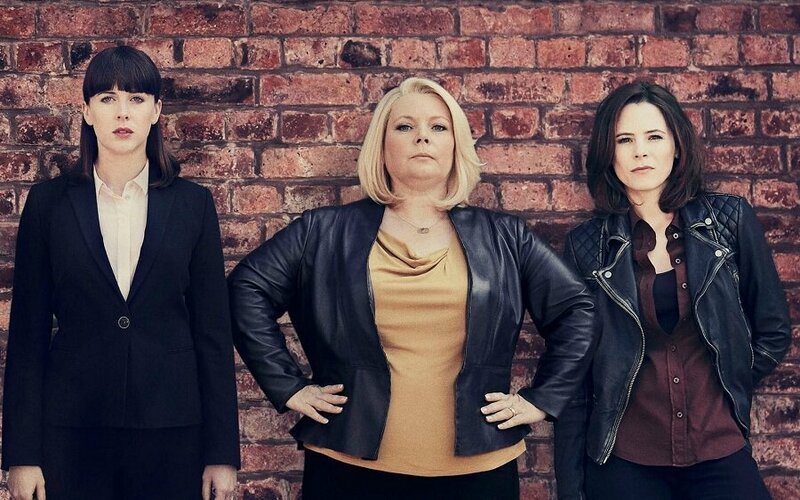 No Offence – This gritty Manchester-based police dramedy doesn't shy away from that which is rude, gory, or generally distasteful. Detectorists – This comedy starts Mackenzie Crook and Toby Jones as two dedicated members of the Danebury Metal Detecting Club. 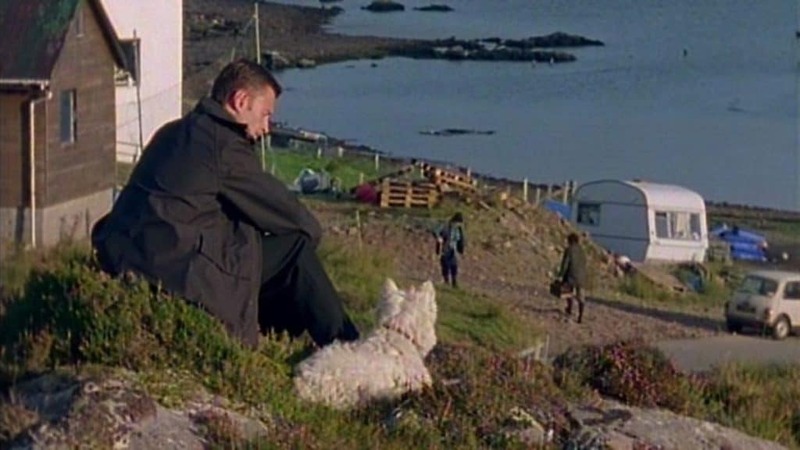 Doc Martin – After developing a fear of blood, the grumpy Doc Martin moves to a remote Cornwall fishing village to become a GP. Miss Marple – Geraldine McEwan and Julia McKenzie portray Agatha Christie's famed spinster detective. Poirot – David Suchet stars as the famous detective. Agatha Raisin – After successfully quitting her PR career to move to The Cotswolds, Agatha Raisin finds herself in the center of quite a few murders. Foyle's War – As WWII rages on, Christopher Foyle does his bit solving crimes on the homefront. Murdoch Mysteries (Canada) – This 1890s murder mystery series gives us William Murdoch, a detective who has to piece together cases with the latest forensic techniques like fingerprinting. Miss Fisher's Murder Mysteries (Australia) – A female detective works amidst the nightlife and jazz clubs of 1920s Melbourne. Inspector George Gently – Inspector George Gently helps bring down members of the criminal underworld. Girlfriends – Three older women guide each other through a series of scandalous events. Ackley Bridge – Two schools merge and become one diverse, occasionally troubled school. Whites – Alan Davies stars as a temperamental chef at a small upscale restaurant. Heart Guy (Australia) – A heart surgeon turns small-town doctor. Delicious – In Cornwall, two women who've shared the same man must learn to work together. 800 Words – A recently-widowed man quits his job as an 800-word columnist and embarks on a new life. The Brokenwood Mysteries (New Zealand) – DS Mike Shepard is sent to the small town of Brokenwood on assignment. Striking Out (Ireland) – When a woman discovers her colleague/fiancé is cheating on her, she sets off on her own to establish a new practice. Republic of Doyle (Canada) – Jake Doyle and his father are Newfoundland's most notorious PIs. A Place to Call Home (Austalia) – A mysterious woman pursues a new life in post-WWII Australia. Count Arthur Strong – An unemployed actor attempts to re-tell his life story. Doctor Finlay – After WWII, Doctor Finlay practices medicine at Arden House – meanthile, the NHS is about to come into being. No Job for a Lady – Penelope Keith becomes an MP and learns just how hard it can be for a woman. Black Books – This strange comedy centers around Bernard Black's bookstore. Rebus – DI John Rebus investigates sinister crimes in the heart of Edinburgh, Scotland. Poldark (1970s version) – After returning home from the Revolutionary War, a Cornish man finds his life turned upside down. The Magic of Houdini – Jonathan Creek's Alan Davies explores the history of the world's most famous illusionist. Penelope Keith's Hidden Villages – This delightful travel series features Penelope Keith traveling around some of the United Kingdom's loveliest villages. Four in a Bed – B&B owners take turns staying at one another's establishments and rating them. Time Team – With so much history in Britain, it's no surprise there's a show dedicated to experts unearthing it. The Hairy Bikers Pubs that Built Britain – The title is pretty self-explanatory, but the show itself is much more delightful than you might imagine. The Edwardian Country House – In an Edwardian country house in Scotland, strangers come together for three months to live as people did during Edwardian times – complete with the restrictive social structures. If subscribing to both BritBox and Acorn TV is out of your budget, the second best option would be to sign up for one, keep it for a few months, then switch for a few months. In our experience, only about 10% of the programming changes each month on either service, so you're not going to miss much if you switch back and forth somewhat regularly – and both services have email newsletters to keep you aware of what's coming and going. The only real difficulty is just the fact that you have to remember to go in and cancel/re-sign up somewhat frequently (and you can always use something like Google Calendar to help you remember). We've created a guide on how to cancel your channels quickly and easily, though (without the need to call on the phone or talk to any humans). Check it out HERE. BritBox vs. Acorn TV – So Which One Should I Get??? We'll do our best to make this simple. Sign up for Acorn TV here. Sign up for BritBox here. Your Thoughts on the BritBox vs. Acorn TV debate? Which one have you enjoyed more? Is there any factor we're overlooking? Let us know in the comments! I subscribe to both and enjoy them. AMC is in partnership with BBC America, not Turner. Previously, they were in partnership with the Discovery Networks. Turned is owned by Time Warner. They screwed up everything except TCM. Where is Season 4 of Vera? It used to be on Acorn. But now neither Acorn or Britbox have it. It looks like BritBox snagged it – I’d guess that at some point, they’ll all be over on BritBox. I have both and wouldn’t be without either. Both are 1st class in my opinion. Why does neither service have Mysterious Affair at Styles? I have both of them, and watch them both back and forth. I subscribe to both and absolutely love them! I have greatly enjoyed Acorn. But the recent update changed the look, made it more “Netflix-ish” but lost some valuable U/I functions. The worst is not marking progress. If you are watching a program with several seasons and episodes before it was possible to exit and return and pick up where you left off. Now every time you open a program it is like you never watched it at all — it is set to start at Series one, Episode one. Very annoying for someone that likes a little variety in the evening rather than steaming multiple episodes of one program. @ashley, if your smart TV has apps and one of those apps is amazon, then you should be able to get Britbox and Acorn as channels. That’s what I have set up for my mother. Now, in order to do this, you have to have Amazon Prime (which is about $120/year. Then, there’s a cost for each channel. With tax, Acorn is a bit over #5 a month, and Britbox is a bit over $7/month, but my mother watches one or both channels every day, so it’s worth it to me. As long as you have a device with an Amazon app, you should be able to buy access to both channels and stream content through the app. The one slight drawback is that Britbox on Amazon and Acorn on Amazon don’t have everything that Britbox and Acorn do, but the channels do have a lot of content. You can also turn channels on and off, although I always keep my Acorn and Britbox on for my mom. I know that Acorn doesn’t have an app for the Samsung smart TV. I’ve read that the apps certainly play better through a streaming device like Roku as they are specifically designed for them. I’d get the Roku devices! I have even seen them at Sam’s Club! I have had Acorn since it began, and have had Brit Box since it began. I have 2 Roku’s which work quite well. My Favorite on Brit Box is “Jonathan Creek”, although I wish I knew who had season one. I notice that “In The Line of Duty” was not mentioned. It is on Acorn and Hulu has season 4. FYI if you have roku you can search a show from the roku home menu and it will tell you who has it. I subscribed to Acorn for 2 years and enjoyed it very much. Especially loved being introduced to Detectorist. But after reviewing the content on BritBox I decided to switch, at least for a while. I probably won’t have both at the same time. And I agree with Jeff that the new interface on Acorn is not a great improvement at all. I had both for a few months but much prefer Acorn so I cancelled Britbox. I enjoy the more current programs rather than the older “classic” ones. The overall quality of these programs is so much better than the junk being produced in the US these days, the writing, the acting, the storylines, the production, the whole package. Does anyone know why New Tricks isn’t on Acorn, Netflix, or anywhere? There are new episodes, however it is an older show, but no one has it. If you have PBS Passport, a limited number of episodes of New Tricks is typically available. I think its exclusive to Hulu tv. I’d love to see on Acorn also. Have had it for about 2 yrs and paid the 49.95 for the whole year. Am thinking of getting BritBox, as some shows I’ve never seen on Acorn. Also want to rewatch Are You Being Served. Such a funny show with plenty of laughs. I love both of them but I wish one of them would show the last four seasons of “Where The Heart Is”. Series 8 is the last one I can find! Which is the best way to get these UK series, besides NetFlix: Doctor Foster, Luther, Marcella, The Fall, and Gypsy? I don’t see any of them listed in either Acorn or Brit Box. I’ve watched them on Netflix but Netflix is very slow and way behind in the seasons of each series. Thanks! It seems there is not a great overlap in programming. I will definitely vote for BOTH, if you can afford it. I’ve had both -at the same time but tended to watch Brit-Box the most. I generally don’t watch much TV. I love the UK and I love Brit humor. My beloved Grandmother and her family were born in London. I love it. I don’t have Britbox (yet), but really like Acorn. I especially enjoy their Australian and New Zealand programming. Brokenwood Mysteries, Miss Fisher’s Murder Mysteries, Jack Irish, Murder Road are my favorites but there are others that are good as well. Also enjoy the Canadian show Murdoch. I just gave in subscribed to both. One of the best moments of my day/night is jumping into bed Firestick in hand and putting on my Brit mysteries. A bit of home in the US.